An incredible playground of ethereal landscapes, Chile’s Atacama Desert is one of the most visually spectacular destinations in all of Latin America. 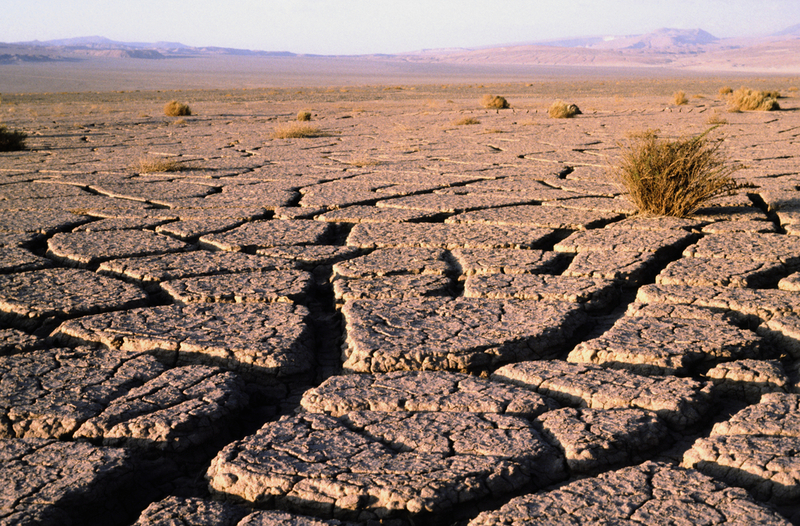 By day, the parched and scorched land which crumbles beneath your feet seems otherworldly. And at night, away from artificial light pollution, it’s the skies that blow you away. The crossing of the Chilean Atacama Desert – and adjoining Bolivian Salt Flats – is the absolute highlight on all La Paz to San Pedro tours. It’s that one bucket-list dream all adventure-seekers have. To be out there, among some of the most contrasting scenery on the whole planet, soaking up the unique atmosphere and the kaleidoscope of sights and sounds. From the howling winds to the glowing crimson reds, the Atacama is a bona fide ‘shock and awe’ assault on all the senses. Azure thermal lakes, dramatic red canyons, vertiginous sand dunes and even lush verdant gorges. Most of all it’s the salt mountains, shaped by aeons of wind erosion, which capture the dreamer’s imagination. One of the driest places on earth is, against all logic, one of its most sparkling secret wonders. The Atacama ecosystem derives from its very unique geographical location. It is snuggly squeezed in-between the Pacific Ocean (whose frosty Humboldt Currents keeps rain clouds at bay) and the high Andes, it stretches for over 1,500km north to south and has an average width of only about 100km. There are sections of the desert that haven’t seen a drop of rain in almost 500 years, and although temperatures can be somewhat moderate (highs of 23 and night-time lows of just under 0) the environment is extreme nonetheless. The Atacama is so extraordinary that when NASA needs to assess its Mars-bound rovers, it heads down here for test-trials. This splendid desert town, the best base for Atacama explorations and home to just a couple thousand people, has been attracting wanderers for decades. Although San Pedro is growing in popularity, and subsequently developing, it still remains one of the most idyllic unplugged destinations in South America. The only way to make the internet work faster here is to will it into warp speed, which is, as you may imagine, not all that efficient a method. But you’ll be infinitely happier here, without internet and away from the rest of the world. Without hordes of people and the sounds of big cities, without the insidious pollution which makes the air and the night sky a little lacklustre, no matter where you live. Except, of course, if you actually live in San Pedro de Atacama. There’s a very good reason why the Atacama’s geysers are best visited at first light. The frosty temperatures may make getting out of bed a little difficult, but it’s those very same low temps which make for the best geyser viewing. 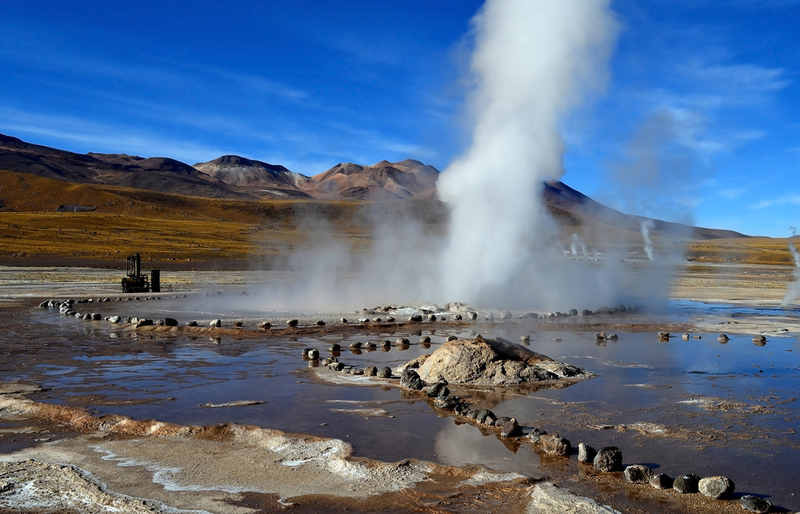 It is at 6am, when the sun is just starting to rise and the collective steam from over 80 geysers does not evaporate, that the Tatio Geysers are at their most breathtakingly beautiful. At an altitude of over 4,000m, this part of the Atacama is the highest elevation geyser field on the planet and undoubtedly worth the early start, we guarantee. A jaw-dropping viewpoint with stellar views of the Salt Mountain Range, the Coyote Lookout is easy to reach atop mountain bikes from San Pedro. Or, if you wish for more comfort, on the back of a 4WD. Without doubt one of the most unforgettable sunset spots of them all, although sunsets are mind-blowing no matter where in the Atacama you are. Defying everything you’d come to expect in one of the ‘driest and least hospitable places on earth’, the site of splendidly vibrant Chaxa Lagoon, and its resident flamingos, is simply glorious. The Flamingo Nature Reserve hosts several salt-crusted lagoons and numerous colonies of flamingos who not only survive, but thrive, in the harsh environment. Unsurprisingly, the Atacama is one of the world’s best stargazing destinations, and home to a collection of exceptional international observatories, a few of which you can visit. These nightly excursions make for some truly fantastical experiences, and even if you don’t know your stars from your planets, and your nebulae from your galaxy, you will be captivated for hours. You’ll see the Milky Way in its sparkling glory and you’ll get a sense of the colossal magnitude of our universe and how insanely beautiful it really is. The best months for stargazing in the Atacama are the cloudless months between April and September. 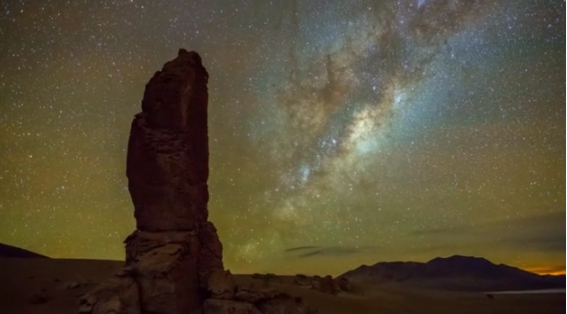 ATACAMA from Adhemar Duro on Vimeo. 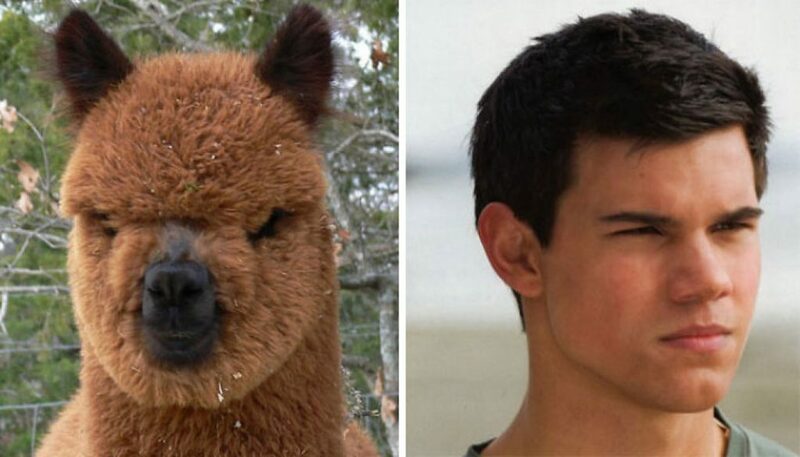 Vicuñas gained worldwide fame just a few years ago, thanks to a flurry of Twilight memes. Remember this cute face? The one on the left, we mean. The real Bambi-faced cuties of the camelid family, vicuñas have bounced back from the threat of extinction in the last decade, thanks to local conservation programs. A delicate creature and bearer of very expensive and luxurious wool (a vicuña can only be shorn once every three years), it is one of the Atacama’s most delightful wildlife highlight. Colonies abound and a sighting in just about guaranteed. So enticing is Atacama’s ‘middle-of-nowhere vibe’ that even when luxury hotels and resorts are built, they are designed to highlight the lack of modernity. Recreating all the usual mod-cons, out here, would be an absolute travesty, and would certainly be counterproductive to the relaxing and rejuvenating effects an Atacama Desert stay can offer. What this means is that at places like the Alto Atacama, one of the world’s best -rated unique hotels, luxury and comfortable living are still very much desert living. Carved and constructed at the base of a desert mountain, Alto Atacama is unique in its opulent simplicity; in its use of local materials and hand-crafted artefacts, and its décor which wholeheartedly embraces the remoteness and uniqueness of the stellar location in which it is found. Having said that, do note that you may be surprised to discover just how well a dreamy outdoor Jacuzzi fits in, in such a surreal landscape. Who knew? 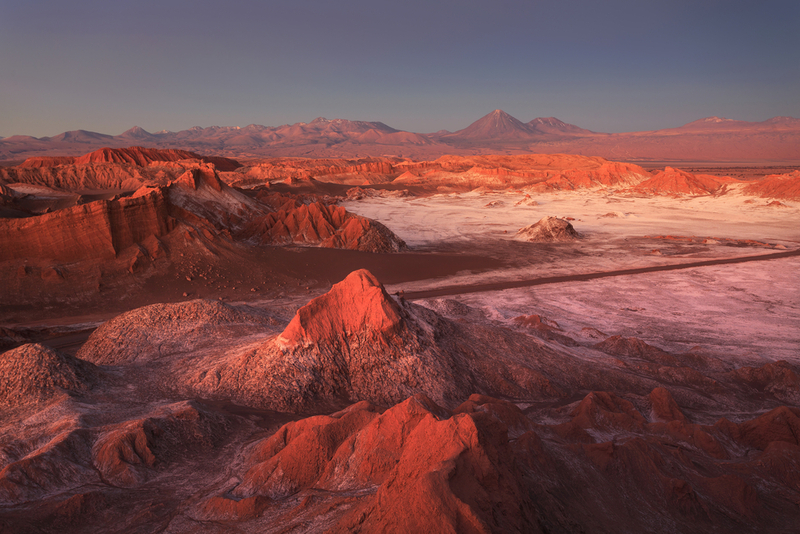 Santiago is the main hub for Atacama adventures, with international carriers connecting the Chilean capital to just about every corner of the globe, including Sydney. From Australia’s east coast, it is merely a 12.5hr jaunt. 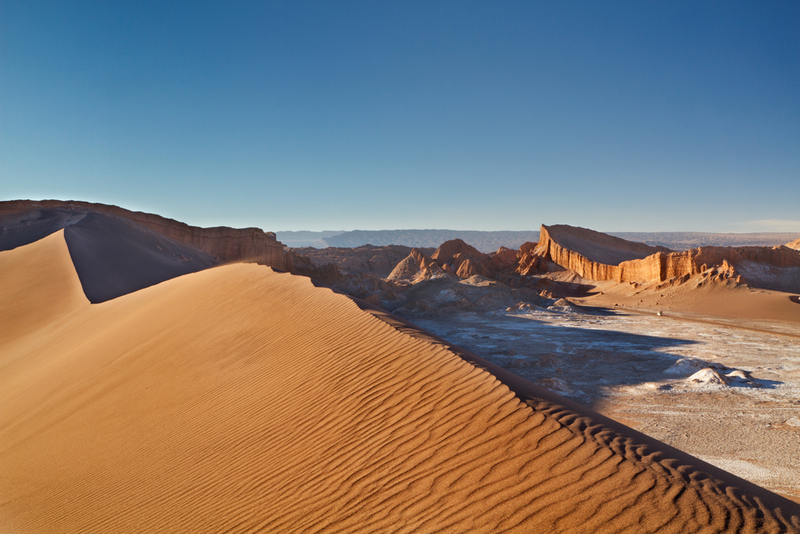 From here, a short domestic flight will take you to Calama, in northern Chile, where you can be met by your driver/guide. 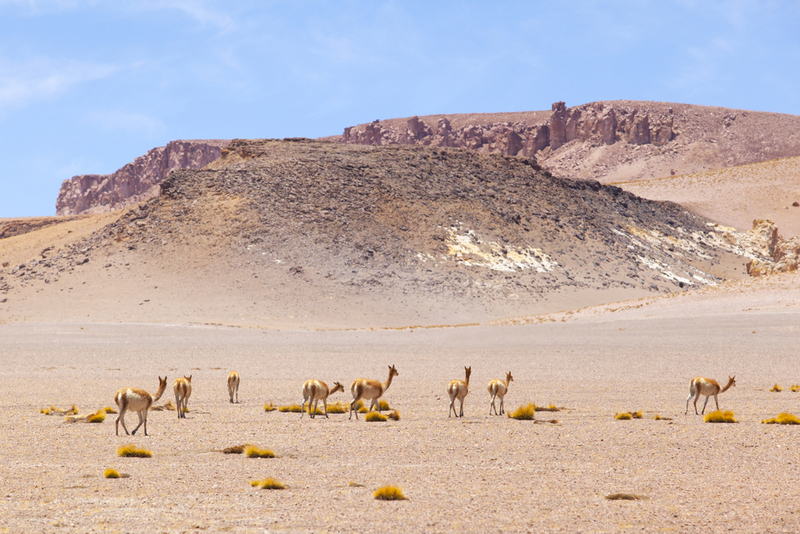 Calama is only an hours’ drive from San Pedro de Atacama. 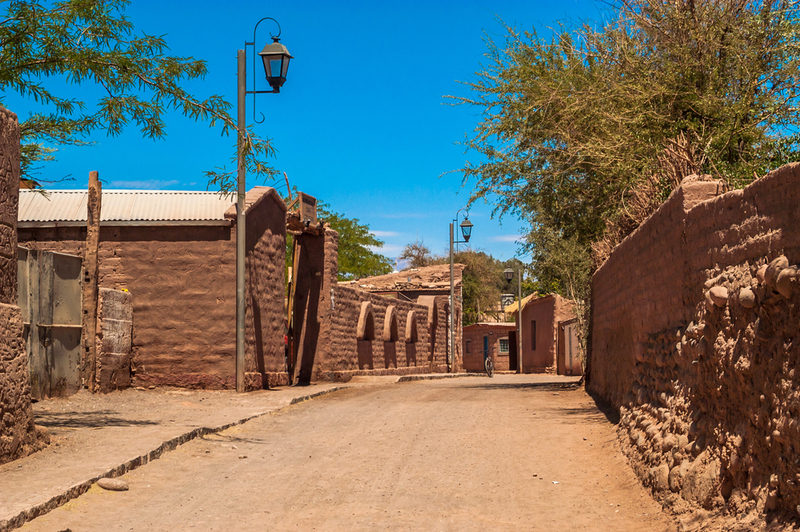 The great majority of visitors to the Atacama plan a 3 or 4 day stay, which is enough time to fit in visits to all the major attractions and spend a leisurely afternoon meandering through the charmed streets of San Pedro. Do note that due to the proximity of interesting sites near San Pedro, you can actually easily fit in 2 side trips in a day, without feeling rushed. 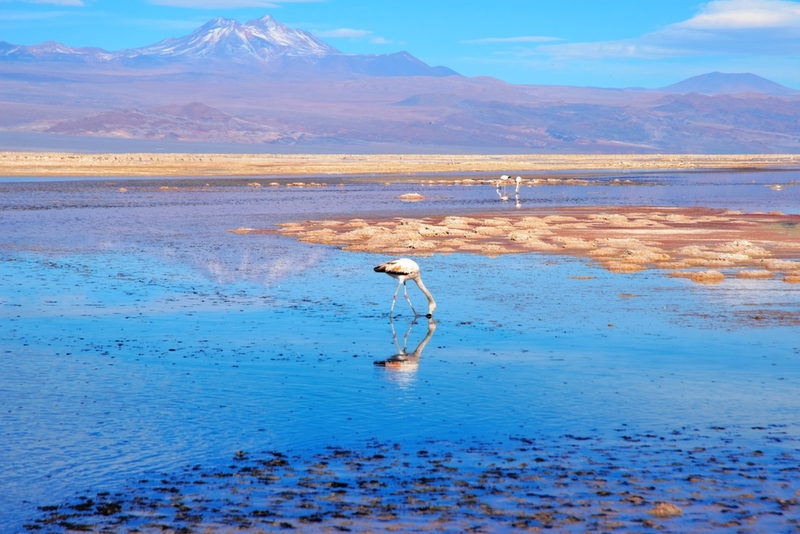 The Atacama is an extraordinarily beautiful place to visit at any time of year, and the aridness translates to a somewhat constant climate – of warmish days and cold nights – all year long. Having said that, the best months for stargazing are the coldest, between April and September, although awe-inspiring skies are the norm here on any given month. Many who visit will plan their Atacama trip around other destinations in South America they wish to include on their journey. You can combine a trip to the Atacama with a visit to Patagonia or cruise to Antarctica between October and March, the Carnival in Rio de Janeiro in February, or the best wine regions in the colorful autumn month of April. At the end of the day, we say that any time you can go to the Atacama…is the best time visit! – Swimsuit, for soaking in pools and spas! 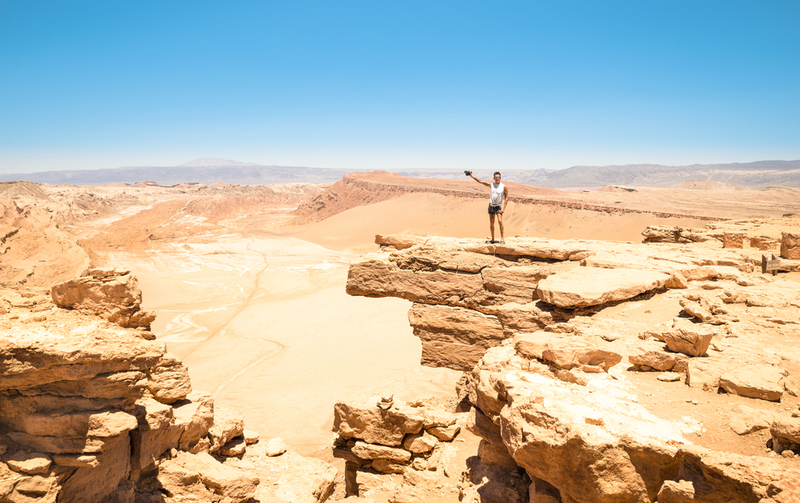 We offer an array of enticing tours to the Atacama Desert, from short and sweet 3-day traverses to 4-day adventures, incredible 7-day treks, luxury hotel stays and several multi-week overland adventure tours. The best part? We can tailor make an itinerary to tailor your needs and desires, so you may get that once-in-a-lifetime Atacama experience YOU dream. Simply contact us for more info.